The activity of the conservator-restorer (conservation) consists of technical examination, preservation, and conservation-restoration of cultural property: Examination is the preliminary procedure taken to determine the documentary significance of an artefact; original structure and materials; the extent of its deterioration, alteration, and loss; and the documentation of these findings. Preservation is action taken to retard or prevent deterioration of or damage to cultural properties by control of their environment and/or treatment of their structure in order to maintain them as nearly as possible in an unchanging state. Restoration is action taken to make a deteriorated or damaged arterfact understandable, with minimal sacrifice of aesthetic and historic integrity. Conservator-restorer work in museums, in official heritage protection services, in private conservation enterprises or independently. Their task is to comprehend the material aspect of objects of historic and artistic significance in order to prevent their decay and to enhance our understanding of them so as further the distinction between what is original and what is spurious. All measures and actions aimed at safeguarding tangible cultural heritage while ensuring its accessibility to present and future generations. Conservation embraces preventive conservation, remedial conservation and restoration. All measures and actions should respect the significance and the physical properties of the cultural heritage item. Preventive Conservation are all measures and actions aimed at avoiding and minimizing future deterioration or loss. They are carried out within the context or on the surroundings of an item, but more often a group of items, whatever their age and condition. These measures and actions are indirect – they do not interfere with the materials and structures of the items. They do not modify their appearance. All actions directly applied to an item or a group of items aimed at arresting current damaging processes or reinforcing their structure. These actions are only carried out when the items are in such a fragile condition or deteriorating at such a rate, that they could be lost in a relatively short time. These actions sometimes modify the appearance of the items. All actions directly applied to a single and stable item aimed at facilitating its appreciation, understanding and use. These actions are only carried out when the item has lost part of its significance or function through past alteration or deterioration. They are based on respect for the original material. Most often such actions modify the appearance of the item. 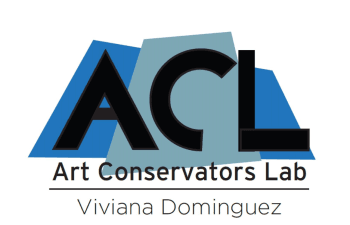 American Institute for Conservation of Historic and Art and Artistic Works of Arts AIC and ICOM- CC.